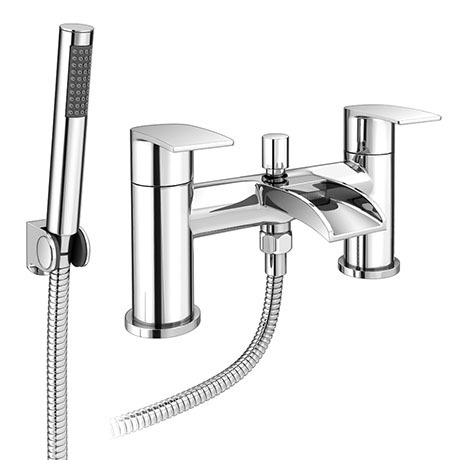 The stylish modern style Enzo waterfall bath shower mixer taps, create a stunning designer look to your bathroom with the subtle sloping curves of the Enzo bath taps. Features an open spout, creating a beautiful waterfall effect and a high quality chrome finish which will stand the test of time. Includes the hand-held shower head, wall bracket and the flexible hose.